Behind Tree Fest Ottawa is a talented and committed group of people who use photography, art and urban design to engage and inspire our community in understanding and appreciating trees and nature. Tree Fest Ottawa is hosting the 2017 Fall Tree Festival on Saturday, Sept. 23 and Sunday, Sept. 24, 2017. A highlight is PhotoSynthesis 2, a photo exhibit portraying the resilience, beauty and contributions of trees. Following the successful PhotoSynthesis exhibit in 2015, Photosynthesis 2 presents photos selected from submissions on the topic of celebrating trees. The free festival includes an eclectic series of workshops, with topics ranging from forest therapy and foraging to the art of doodling and the ecology of Brewer Pond. An Indigenous Walk (Sat. ), a guided tree walk (Sun. ), morning yoga (Sun.) and tree planting (Sun.) are also planned. Check the website for the full schedule. Throughout the weekend, there’ll be music and drumming, all-ages activities (including storytelling, a nature trivia contest, henna art, crafts and outdoor games), and local and tree-sourced foods. The Fall Tree Festival happens at Brewer Park, by the pond, from 10 a.m.-4:30 p.m. both days. Hope to see you there! Posted by Denise Deby. 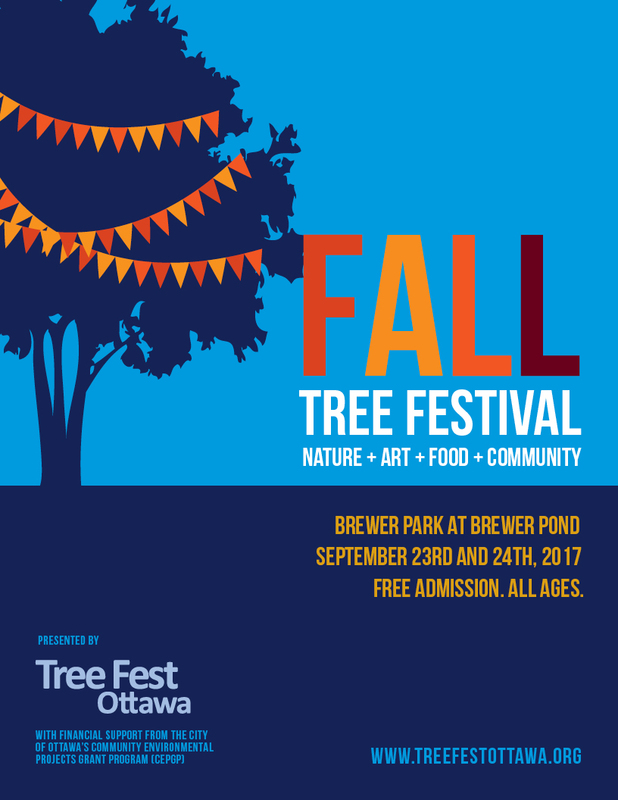 Thanks to Christine Earnshaw, Tree Fest Ottawa for the information and poster image.